Join Hunger Solutions for Hunger Day on the Hill! Learn about how Valley Outreach is finding innovative solutions to serve the people of the St. Croix Valley area! Thank you to everyone who joined the fight against hunger in our state! 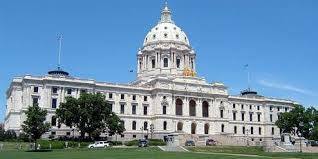 The Minnesota Hunger Initiative (the Twin Cities Hunger Initiative until January 2015) is a group of leaders with a common mission: to increase the effectiveness of the hunger relief system throughout MN through collaboration. Thanks to all who joined us for The Walk to End Hunger this Thanksgiving! More than $325,000 was raised to combat hunger in Minnesota! All of our Minnesota Hunger Initiative Partners work hard each day to reduce and end hunger in MN, with generous help from many engaged individuals. Visit our Partners page to learn more and get involved. 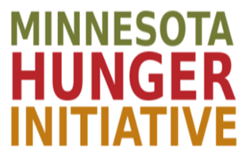 The Minnesota Hunger Initiative (name change effective January 2015) is comprised of 20 organizations who collectively and individually work to end hunger in our communities. Explore the site to learn more about how we work together throughout Minnesota and how YOU can get involved in our work - Let's END HUNGER together!